What do you do when you have a community of moms scattered across the country who would love to spend a leisurely afternoon chatting with each other over a cup of tea or cappuccino (if distance wasn't an issue)? 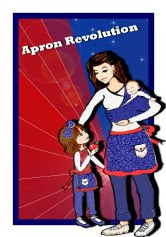 And that's just what Mothers for Liberty moms are doing this Wednesday, January 28th. 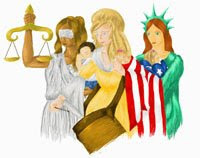 Between 2 and 4pm central time, moms will "gather" at Mothers for Liberty National (an online group via CafeMom) and share conversation, inspiration, information and more! Some moms will be able to join in for the whole event, others will only be able to drop by for a while ... but whatever their schedules permit, this online tea party is a great way to spend an afternoon with long distance friends. What a great way to connect with moms across the nation!! 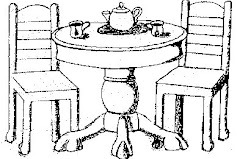 i love sharing tea and conversation at the virtual tea party. what fun!! I'm enjoying my peppermint tea and thinking about liberty. How about you? We have a live chat option that we use to chat in real time! It is great to make contact with Mammas from literally all across the nation! So far it's a lot of fun! Great to have 10 moms from across the country participate in our Online Tea Party ... looking forward to the day when we can host a live Tea Party and all meet face-to-face. Sunflower Seed Pancakes ... Yum! Saying NO to Vaccinations ... At Any Age!